RIM Employee To CEOs: "I Have Lost Confidence"
Today a letter slipped out addressed to RIM’s co-CEOs Jim Balsillie and Mike Lazaridis. It was written by a “high-level” employee, who BGR claims to have identified and confirmed as the author. The letter is not angry, disgruntled, nor does it cross the line. It is a simple, heartfelt plea to get RIM back in the game. There’s a lot we can talk about when it comes to RIM’s “struggle” as of late. We can comment on the half-baked BlackBerry PlayBook and the lack of worthwhile apps. We can talk about the fact that the company’s leaders (Lazaridis in particular) have shown no humility whatsoever over the drop in their platform’s popularity, made poignant in this BBC interview. We can discuss how the transition to QNX is about four years too late, and taking more time to deliver than the company can afford. 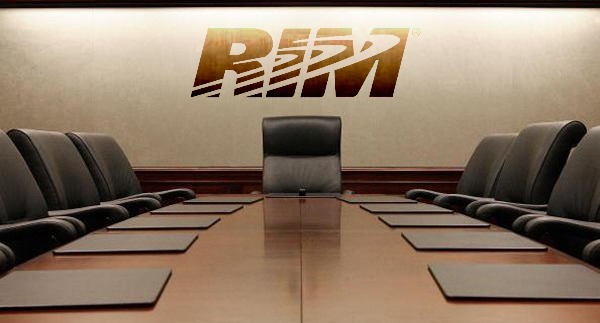 We can even comment on how RIM’s dual-leadership hasn’t evolved to meet the expectations of today’s mobile marketplace, and that both ex-employees and (obviously) current employees are well aware of it. But there’s no reason to. The author of this letter puts it better than any of us could because he (or she) knows exactly how it feels to raise the mast on a sinking ship. I truly and sincerely hope that the author of this letter is heard, without repercussions, and perhaps even given a solid pat on the back. Mike and Jim: Please, not just for you, but for all the folks out there who have been loyal to RIM and want their beloved BlackBerry back, please… shut your lips and learn. Update: RIM has responded here. Developing for BlackBerry is painful, and despite what you’ve been told, things haven’t really changed that much since Jamie Murai’s letter. Our SDK / development platform is like a rundown 1990′s Ford Explorer. Then there’s Apple, which has a shiny new BMW M3… just such a pleasure to drive. Developers want and need quality tools.